TRID has finally taken effect! A new era of residential closing regulations for lenders, closing companies, and of course, buyers is now in effect. “TRID” (which is short for: T (Truth in Lending), R (Real Estate Settlement and Procedures Act), Integrated Disclosure) took effect on October 3, 2015. 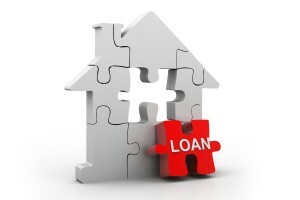 This means that all loan applications received by lenders for residential mortgages after October 3, 2015 are subject to the new TRID regulations. Instead of receiving the final dollar figures and amount needed for a certified check shortly before closing, buyers will receive a Consumer Disclosure at least 3 business days prior to the closing. The Consumer Disclosure is taking the place of the current HUD-1, Truth in Lending and Good Faith Estimate, by combining all 3 forms, and additional information not included on said forms, into one form. The purpose of the 3 day disclosure period is for the buyer to have a chance to review the Consumer Disclosure, and ask any questions prior to the closing. Not all settlement companies are equipped to handle the fast turnaround time for all of the above listed items. The importance of selecting an experienced and efficient settlement company is more important than ever! Sebring & Associates has been an established closing company in the Pittsburgh area for over 20 years. Contact Sebring & Associates about how we can smoothly handle your closing during this period of transition into the new regulations. Contact us for more information. Read more about TRID here.